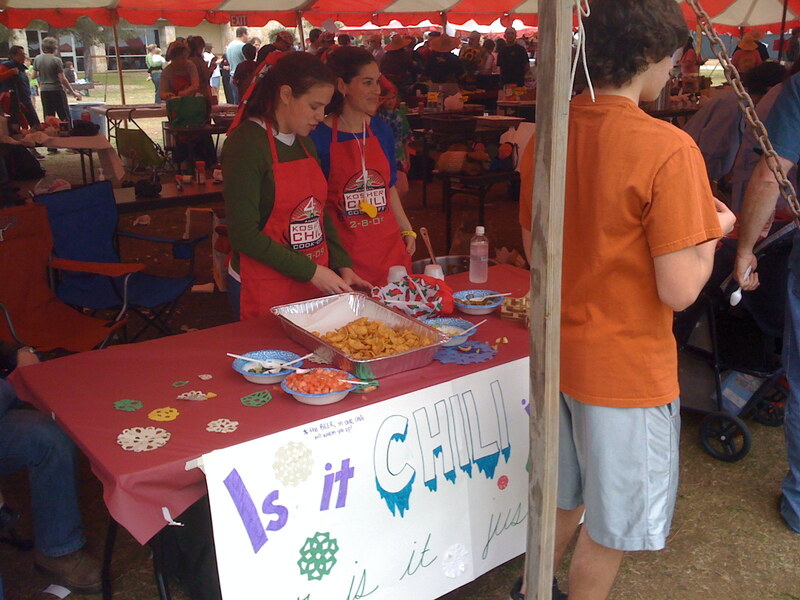 I stopped by the 4th Annual Kosher Chili Cook-off held yesterday for a bit. There were 25 participants. I managed to try about 20 of the entries and not get sick. Not too bad. I’m going to be a little harsh with my criticism. 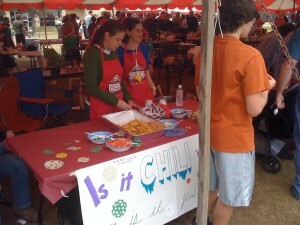 The average chili I tried was very salty but not spicy at all. What’s the point? 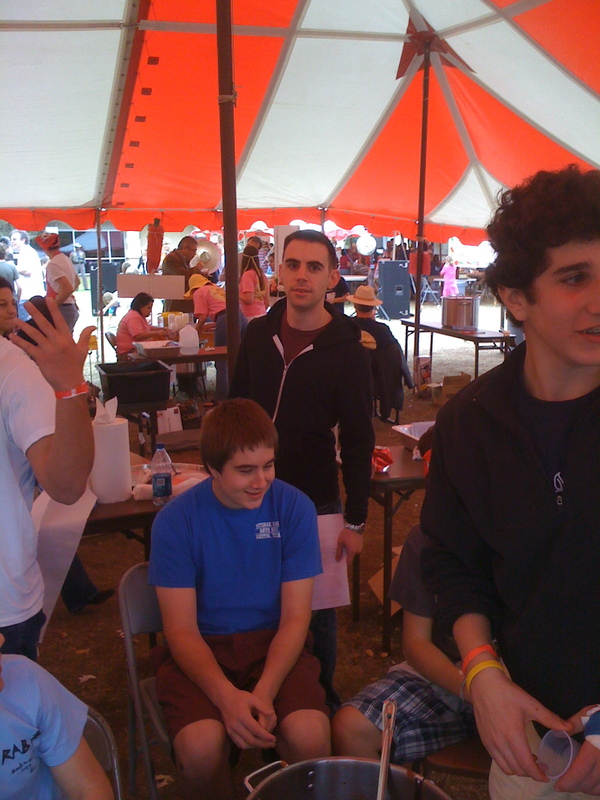 There were too many vegetarian entries. What’s the point? 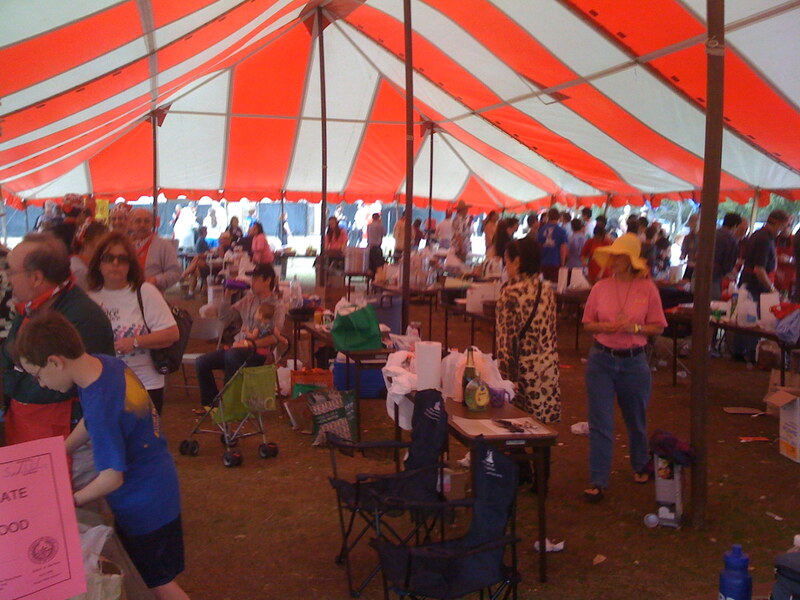 All the kosher meat and utensils were provided by organizers Agudas Achim which actually makes things fair (and cheap – which you’d know if you’ve ever purchased kosher meat). I have decided that I’m going to have to enter the contest next year and really make all those mostly Ashkenazi softies cry. They won’t know what hit them. Not on the way nor on the way out. 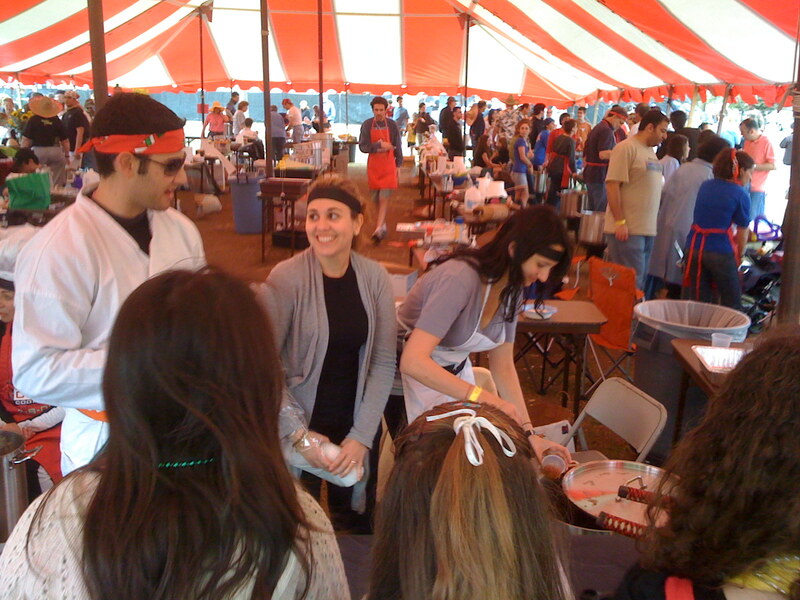 I don’t even know which team won but I voted for Team Ninja, their chili was pretty good. And they bribed me. Read more to see a few photos. 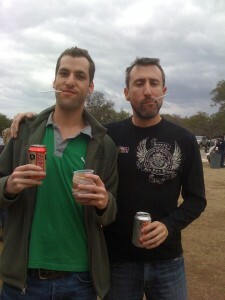 They may look like they are, but these guys are not really Mexican. I want one of those aprons though. Too many vegetarian entries. What's up with that? 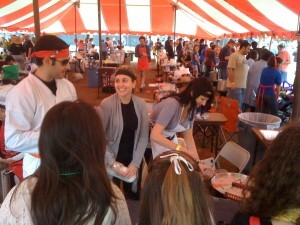 Ben Kogut, Arian Marion, Sara Kogut of Team Ninja. 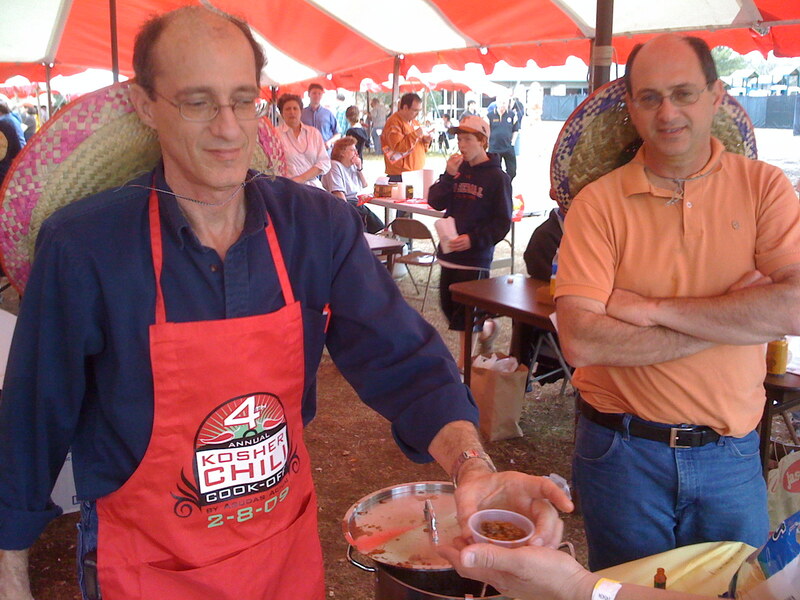 It's not easy to judge 25 different chilis: Marcos Kirsch and David Endler. I’m sad I missed it! I was supposed to maybe be a judge but I am in Maryland. Weirdest thing — someone made me kosher chili while I was here and I had never tasted it before. And it was spicy and sweet and delicious. Bet it would’ve won the blue ribbon. Yeah, I figured I’d just link to your review. But you didn’t come through and I had to type more than I wanted.